Welcome to the Griddle Picnic. 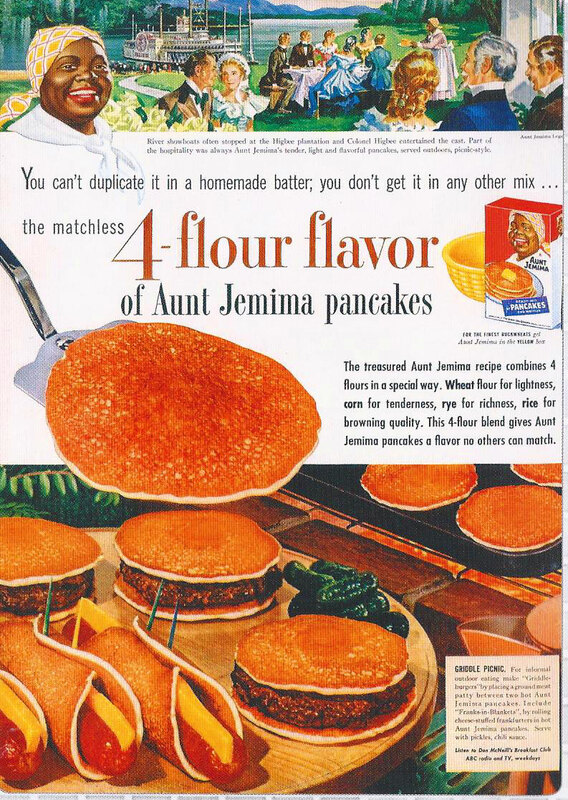 In the Antebellum days, river showboats would pull up to Aunt Jemima’s plantation, and she would serve them hamburger and fankfurter pancakes. That all makes perfect sense. I found this image here! Who knew cooking was so convenient back in the plantation days!